Many people tend to have insomnia or another sleep disorders. Nowadays it is not a surprise, because crazy pace of life and poor environmental situation take the top positions among their allies. Let’s clarify possible causes of insomnia. Intensive and changeable pace of life, stresses, impossibility to have adequate rest lead to violations of balance of human psychophysical state, as well as to chronic fatigue. Sometimes increased nervous irritability and sleep disturbances are caused even by slight but very spontaneous reasons. 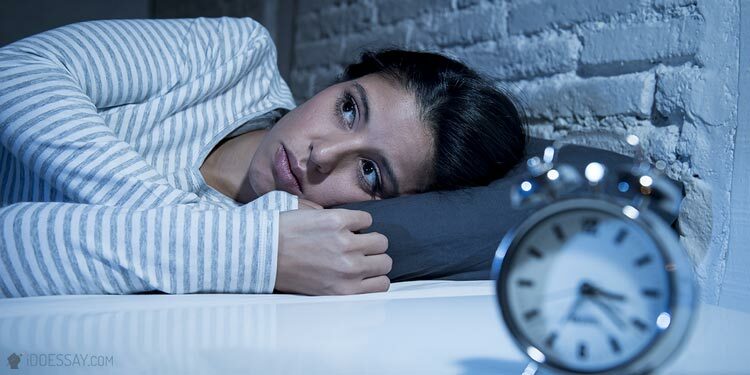 Insomnia can be both a cause and a consequence of different diseases of a general nature that might be shown by circulatory disorder of the nervous system, bouts of coughing, shortness of breath and so on. Science knows many cases when scientist working over any issues and tasks finds simple and ingenious answer in a dream. This happened, for example, with Periodic table of Dmitri Mendeleev. Primarily, such things happen due to the fact that brain during sleep continues to work, but in a different rhythm. That is why those people who always work mentally suffer more from insomnia. Many of them can’t stop and because of that they overstrain. Large percentage of people connect their work with the indispensable use of tea or coffee. However, it creates the illusion of removing fatigue only temporary, because fatigue continues to grow. In order to avoid this nervous insomnia, you should learn how to change hard mental work for some neutral leisure activity. In newborns, as well as infants, sleep disorders occur because the baby’s way of life is not yet formed and the central nervous system is still forming. Another example - sleep disorders in adolescents is a common phenomenon nowadays because of intensive lifestyle that they lead. The academic year requires its own rhythm and vacations radically change it because teenagers like to walk and come back home very late or just surf the Internet at night. Furthermore, there are additional tutoring classes, tests, music school etc. All these factors influence children's emotional and physical state. Alcohol abuse and smoking lead to serious sleep disorders. Tobacco smoke contains a number of components that negatively affect the cardiovascular system (tachycardia, temporary increase of blood pressure, blood clotting) and respiratory system (bronchial spasm, bronchitis etc.). Alcohol, in its turn, makes sleep to be intermittent and superficial, forcing some organs to work intensively at night as during the day in order to rid the body of poisoning. Psychostimulants like, for example, caffeine, azalea, which have been actively added to various alcoholic beverages recently, also obstruct normal sleep. To conclude, as many people as many causes of insomnia. Each case is individual and needs a good professional and careful approach. Prevention it is an attempt to remove the cause. Change your lifestyle, and you get rid of many diseases. It is useful to take a walk before going to sleep, relax and calm down. Do not do any intensive physical or mental work before sleeping. And, of course, the most important rule of healthy sleep is a quiet environment. Make sure that nothing disturbs you. Good night and pleasant dreams.